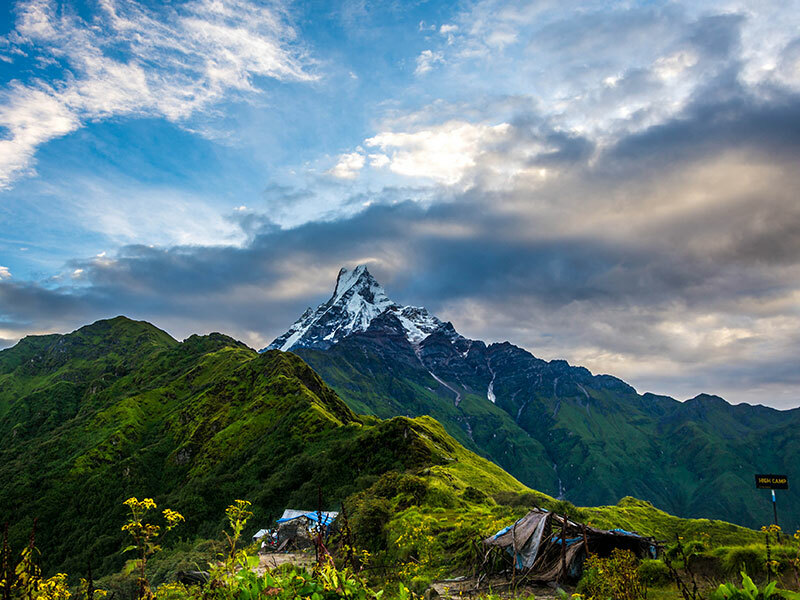 Trekking in Langtang region is one of the nearest destinations from Kathmandu which is situated at 132 km north of Kathmandu and offers the great panoramic views of Himalayas with its rich biodiversity in flora & fauna. The main habitants: Tamang with their rich culture and people of Tibetan origin is another attraction of this region. It is accessible without flights. Tea house trek along the trail gives us an opportunity to experience the great views of the mountains not to be found elsewhere. The area is sandwiched between the main Himalayan range in the north and with the chain of gigantic peaks to the south. Langtang Lirung Langtang (7246m), Thrimzhung Gang (6388m), Naya Kangri (5846m), Yala peak (5700m) and Dorji Lhakpa (6966m). Experience 20minutes of helicopter flight from Kyanjin Gompa to Kathmandu with magnificent views of the Himalayas which are the unique specialty of this trip. We will be leaving Kathmandu in the early morning for Syabrubesi by bus, a village which is a starting point for treks into the Langtang valley. We will moving via Trisuli bazar and Dhunche. We will witness magnificent scene of various mountains which includes a range of Manaslu, Ganesh Himal and other minor peaks are visible from Kakani. The way goes uphill and downhill on bus. As the weather changes, so does the culture and the people as well. On the arrival at the Dhunche this is the major town of the Langtang area of Rasuwa district. 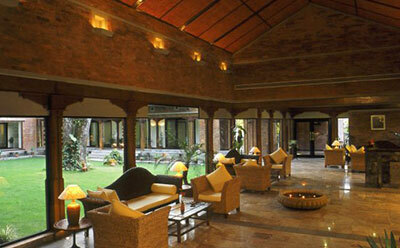 We will also be encountering the Headquarter of the Langtang National park office. 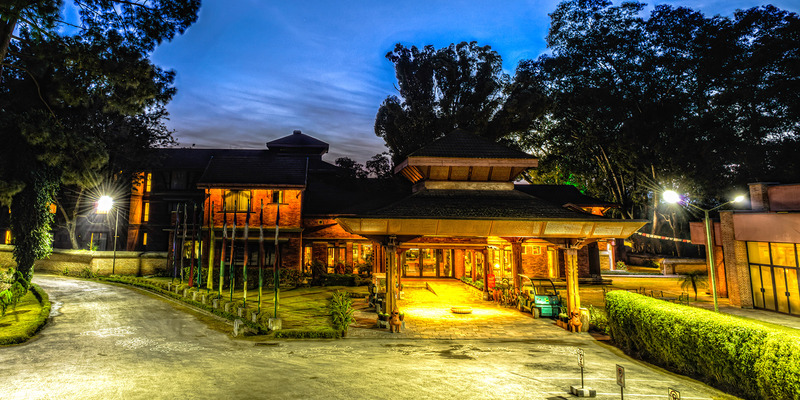 Today we will be trekking towards the famous Lama Hotel. While on the movement towards the destination, we will find a suspension bridge on the very 1st of our today's journey. Our trail continues to climb up the valley along with Langtang Khola. We will also seeing Rhododendron forest on the way. At the early morning today our journey starts passing pine forest which is slowly up hill, and the trail gradually move upwards to Ghora Tabela. After Ghora Tabela, the land become terrain and with the spectacular view of forest and glimpses of Mt. Langtang we follow the Langtang Khola advancing steadily up to the Langtang Village. On the way, if we got lucky we might see Red Panda as well. From the Langtang village our journey today leads through the gradual path for a short while and then path winds up uphill for few hours through the Burberry and high alpine shrubs. As our walks goes further east, the valley opens up and then walking on the grassy meadow with views of snowcapped peaks in the distance. Afterwards, a principal monastery of the region appears passing water mills, prayer wheels and largest Mani in Nepal which is made up of stone with prayers written on them. After the trek, we rest exploring the Buddhist shrine and surrounding areas. We begin our trek today after the breakfast and retracing our steps to the lama hotel and then to Thulo Syabru. 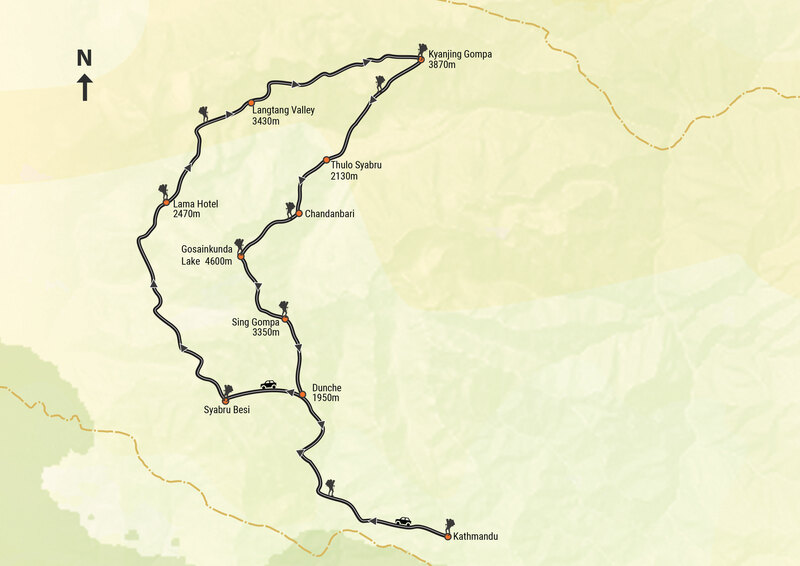 Today most of the trekking will be downhill as we pass through forests and amazing tamang villages. Later on after the lama hotel we climb up to the Rimche village and continue our easy trail. Today trek will be gaining more height with amazing view of Ganesh Himal, Manaslu, and Annapurna Range as we reach higher ground. The walk from here advances the winding uphill trail above the monastery continuing an hour uphill from the farmlands into cool shades of alpine forest. When we reach Sing Gompa, the first few houses make up a cheese processing factory. Today will be the day to enjoy magnificent panoramic view of the Himalaya ranges. We will follow the ridge for the most part of the day and catch a glimpse of the first of the holy lakes. 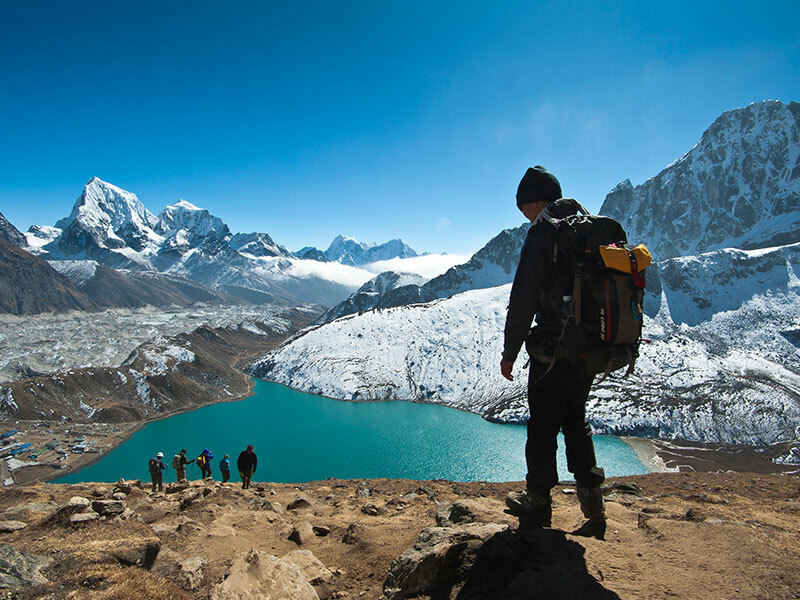 The lake Gosaikunda is of Particular religious and cultural significance for the Nepalese and is of Nepal's most sought after pilgrimage sites. The lake itself is encloses by mountains on almost all sides and harmonize nine other lakes to accompany it. The large rock at the center of the lake is said to be the remains of a Lord Shiva Shrine. According to legend, Gosaikunda was created by Shiva when he pierced a glacier with his trident to obtain water to quench his thirst after having swallowed a poison that was threatened to destroy the world. The trail descend passing Lauribanayak which will gives you an exotic feeling. Passing few huts in the high pasture of Lauribanayak, we move downhill retracing our path towards Sing Gompa. 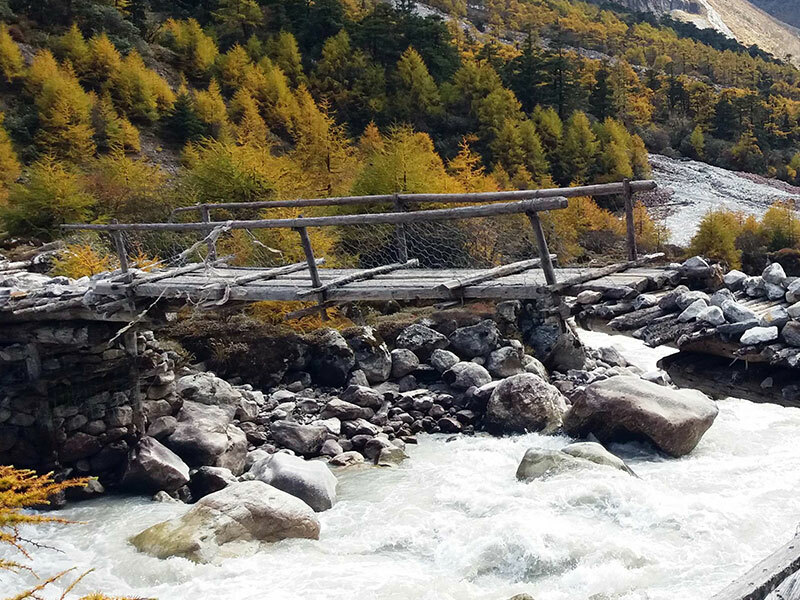 The initial part of the trails descend through pine silver oak and rhododendrons forests crossing suspension bridge over the Sing Gompa stream. Secondly, path stretches at flat level through some settlements and mineral water factories up to Dhunche.